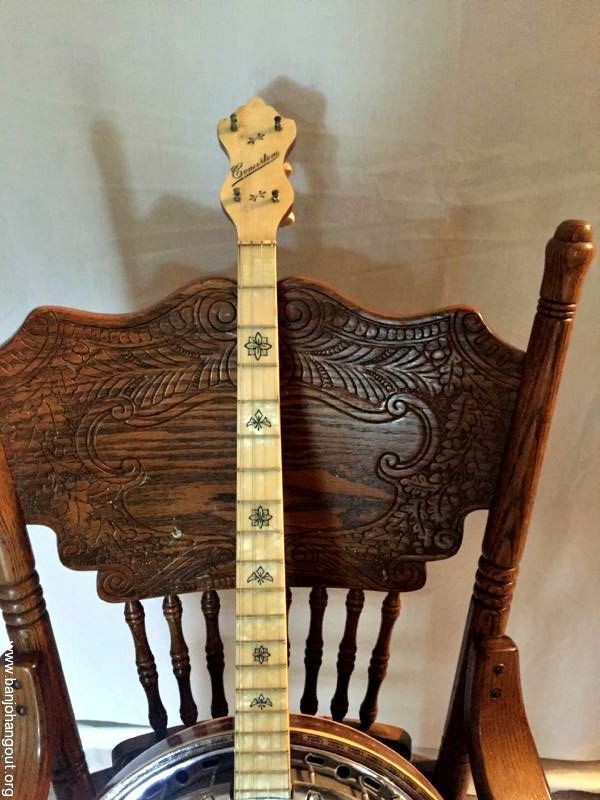 Celluloid covered Fretboard and peghead. Both have black script with concertone done in peghead. 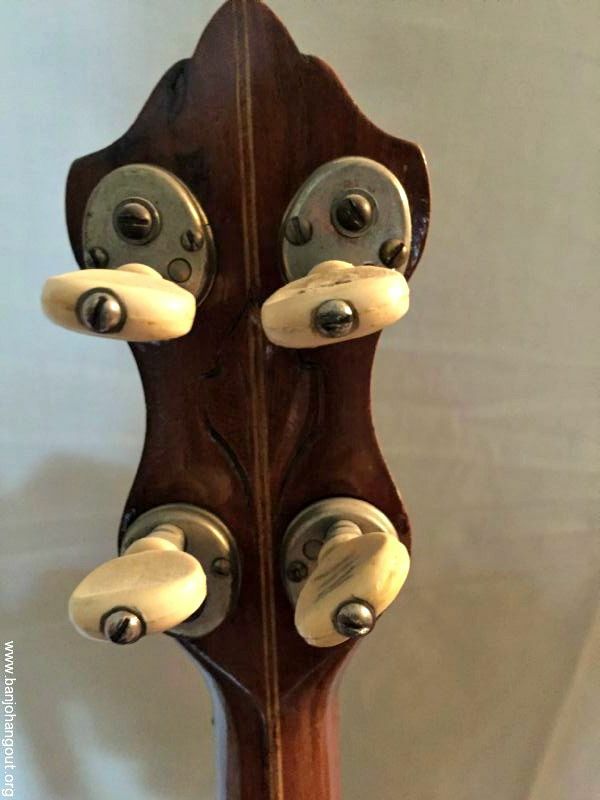 This is a top tension banjo with really nice hardware. 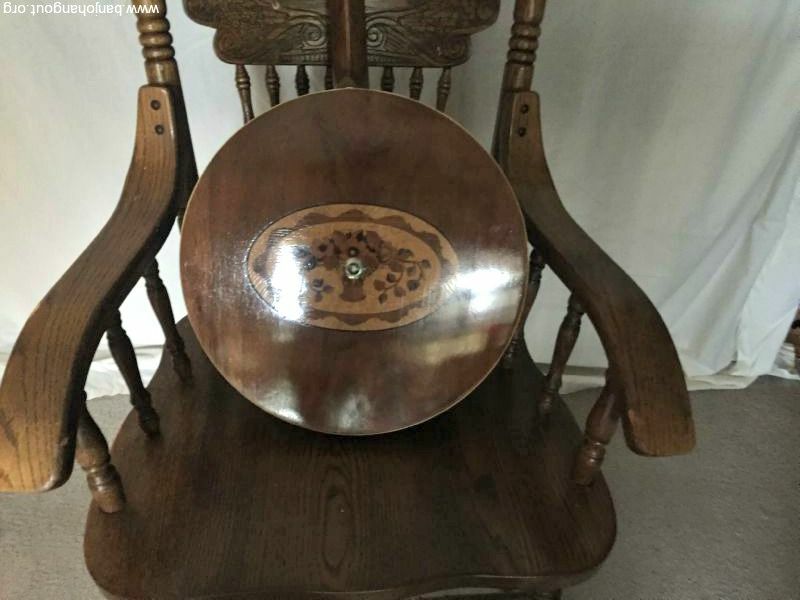 It has a nice pick guard and armrest. 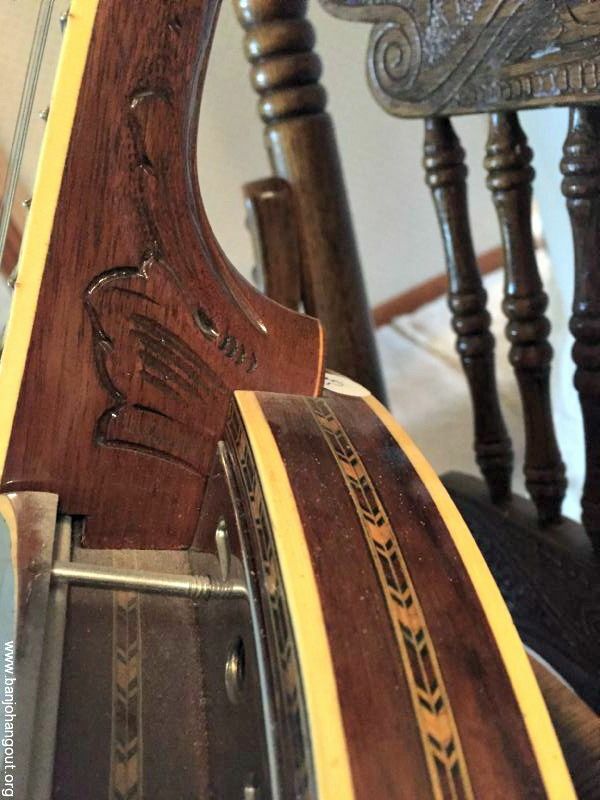 It has binding on neck and real nice marquetry on rim and resonator. 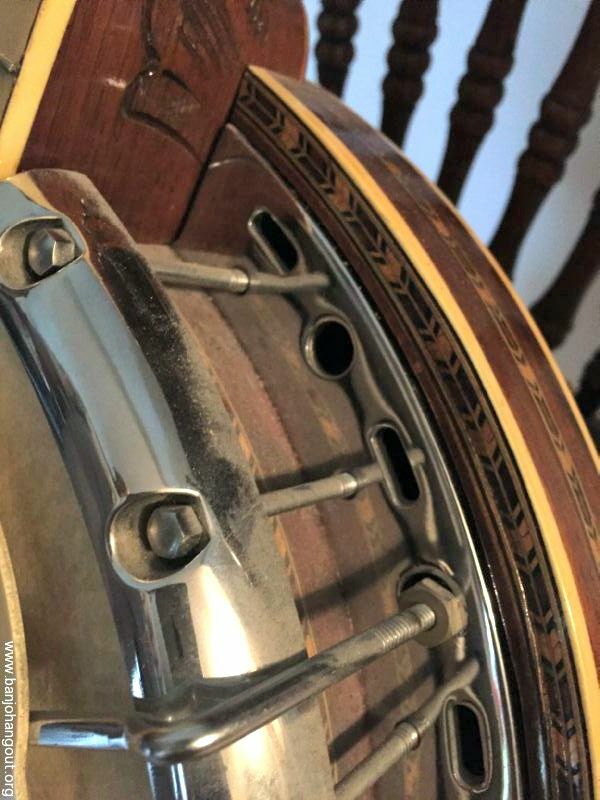 Banjo has a beautiful wood scene of some type of flower pot on back of resonator. 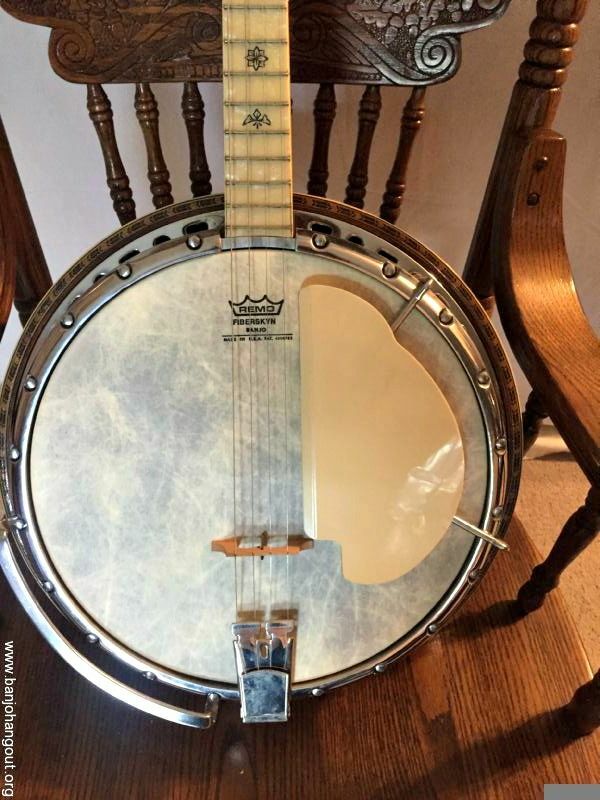 I believe this banjo to be a time period correct instrument and it is just beautiful. Also has a simple carved heal and with little carving on back of peghead and has a laminated neck. 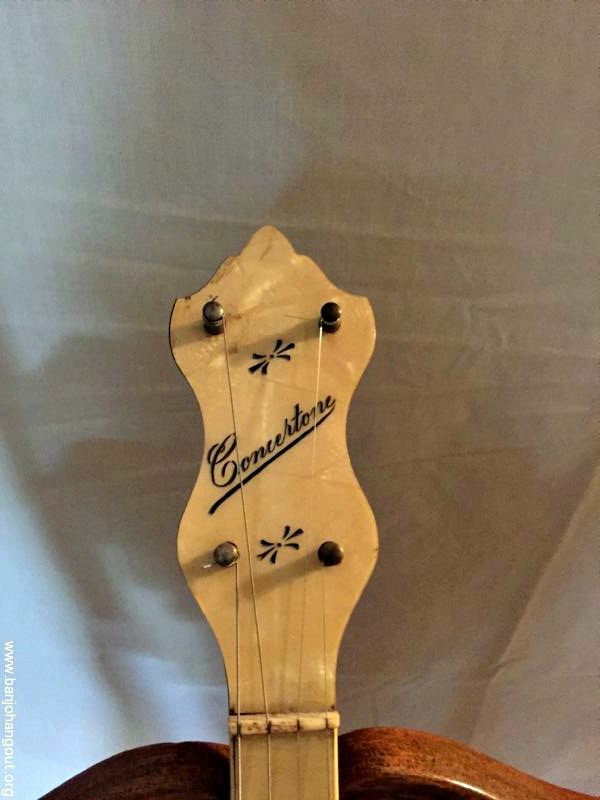 1930s No Serial # , A player Tune it and played it and said it sounded Great. This is a very beautiful instrument !!!!!! !